Laminating Services | Nationwide Laminating Company | U.S. Laminating Corp.
U.S. Laminating Corporation of Long Island performs lamination of foams, non-woven, fabrics and films for almost every industry and end use. 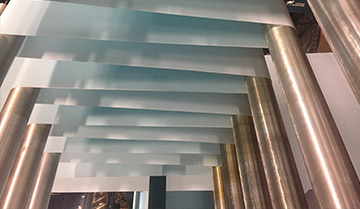 Due to our variety of laminating technologies and superior in-house engineering, U.S. Laminating Corp. has been able to supply quality laminated materials to different markets such as healthcare, outerwear, footwear, automotive, marine, industrial and acoustical. U.S. Laminating Corp. is able to ship both domestically and internationally. 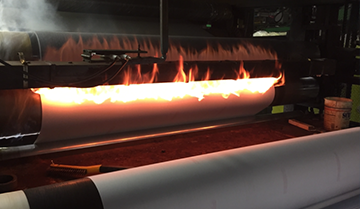 We specialize in flame laminating and can adhere to custom specifications. 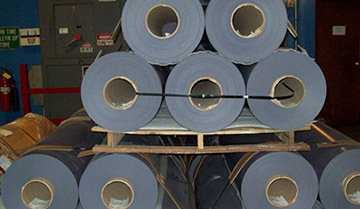 Our business is laminating foams, non-wovens, fabrics, and films for almost every industry and end use. We specialize in flame lamination and ship to businesses around both the country and the world. We supply quality laminating and converting services to manufacturers of medical, industrial, and consumer products. Many different industries use our trustworthy services. Contact our friendly sales staff via phone, email or fill out our quick-contact form today to see what we can do for you. We will gladly answer any laminating questions you may have. Contact us today for more information about our products and services and let us start helping you.